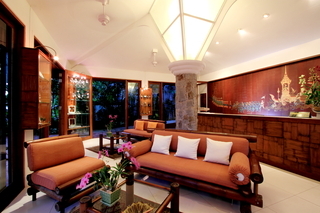 Situated in magnificent Kata Beach, 5 min walk to the beach, complete with all the convenience of the area. Enjoy and relax viewing the azure Andaman Sea by the pool or room balcony.Sugar Palm Grand offers you perfect mix of serene atmosphere, unique landscape and elegant designs of cascading man-made waterfall from 11 open air multilevel swimming pools. 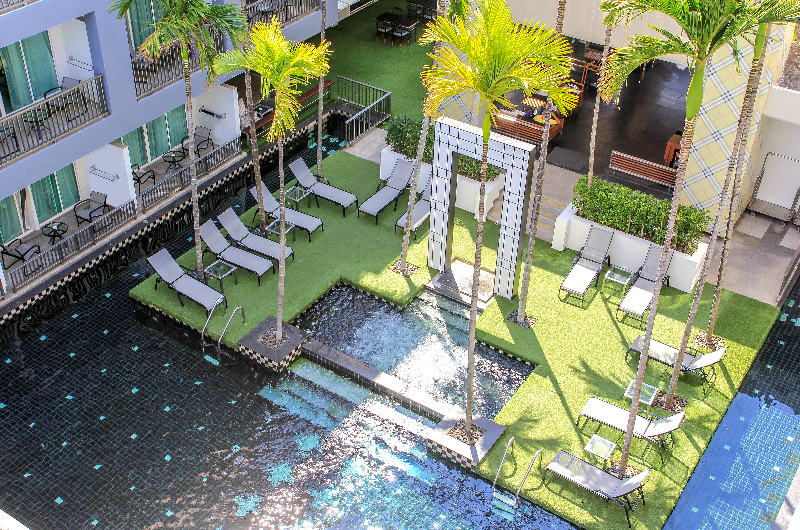 In the picturesque bay of Kata Noi in the south of Phuket Island, there is this hotel, with a wide range of shops and entertainment venues in the vicinity, and only 1.5 km from the town centre. Embraced by lush green hills and sparkling blue ocean on a paradise beach this hotel is a tropical dream. The hotel facilities include 6 swimming pools, fitness centre, tennis court, game room, putting green, sauna, medical clinic, kids' club and babysitting service. The hotel is located close to Kata Beach, approximately 15 minutes from Patong Beach and Phuket's vibrant tourist attractions. The area is famous for its clean beach, providing the perfect destination for a family vacation or for a romantic honeymoon and the eco-friendly resort offers everything one may need during the trip. It sits at just a few hundred metres from the Kata's shopping and entertainment area, a 5-minute walk from the bus station and only a short stroll from the magnificent sandy strip. On its premises guests will find a splendid restaurant where they can enjoy some outstanding local specialties. Those who are looking for a place where to hold their next corporate event should check the modern onsite meeting facilities, while the bar can serve as the perfect place for the post-event cocktail. The Galleri by Katathani is an adult-friendly lifestyle resort inspired by a love of art and nature designed for young-at-heart travelers. 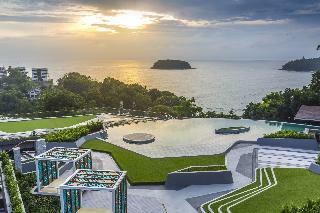 This modern resort highlights nature's masterpieces with tropical scenery and a sublime vista of the Andaman Sea.Located on a hill overlooking stunning bays of the Andaman Sea, The Galleri is just 1 hour drive from Phuket International airport. Kata Beach and Kata Noi Beach are only 5 minutes away by car. A complimentary shuttle is available at scheduled times. Kata Noi Beach is just a scenic 15-minute walk away. Kata Sea Breeze Resort offers hillside accommodation surrounded by mountain views, just a 5-minute drive from Kata Beach. 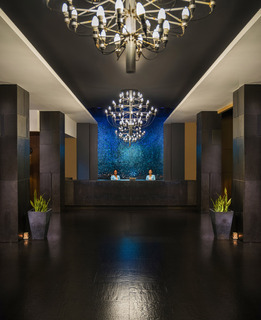 The resort features 4 swimming pools, 3 Thai and International dining options and a spa. 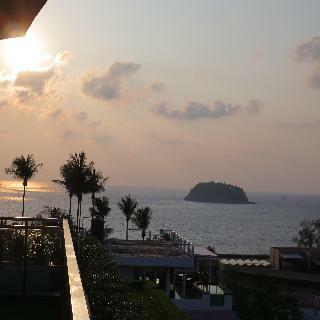 Air-conditioned rooms at Kata Sea Breeze have Thai furnishings and come with a private balcony. Each room is fitted with a satellite TV, a refrigerator and tea/coffee making facilities. 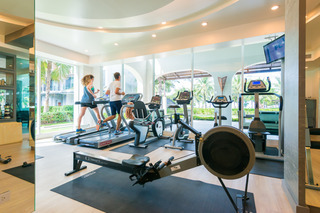 Guests can enjoy a traditional Thai massage, sample a refreshing drink at the pool bar or work out at the fitness room. The hotel offers car rental and laundry services. Wi-Fi hotspots are available. 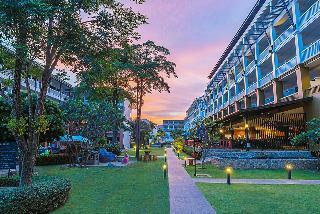 Kata Sea Breeze Resort is a 45-minute drive from Phuket International Airport. The excellent Kata Beach Resort & Spa hotel is perfectly situated in a beachfront location overlooking the beautiful golden sandy beach, Kata bay and Crab Island. It is designed in a contemporary Thai style and features a wonderful atrium. The lovely pool landscape is surrounded by tropical vegetation including palm trees swaying in the cool breeze from the Andaman Sea. The beachfront restaurant provides a romantic seaside ambience and breathtaking sunsets. The renowned tourist resort of Patong can be reached within a 15-minute drive. A great place for a beach holiday under the tropical sun. 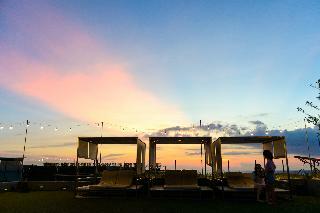 This hip hotel at one of the top surf beaches in Phuket offers unforgettable accommodations to surfers and tourists alike. 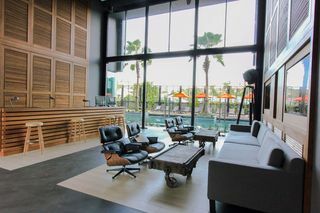 Right from the moment they arrive, guests will feel the warm hospitality of the owners and staff, which welcome every newcomer with a complimentary minibar filled with chilled beer, juices and snacks, and replenished daily. 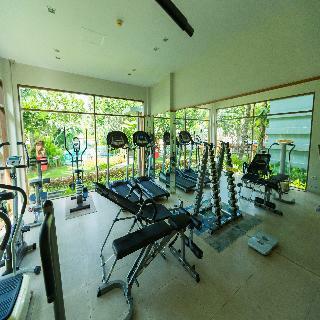 For those who need to stay in shape with a different type of routine, a gym, as well as yoga and aerobics classes are available. For a change from the salty sea waters, guests can take a dip in the centre piece of the resort – the U-shaped swimming pool featuring a distinctive compass design that lights up at night. 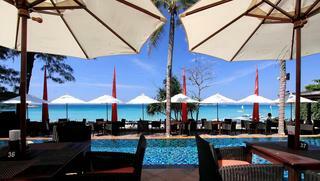 This beautiful boutique hotel is nestled in the vibrant and exquisite area of Kata Beach, next to Karon Beach. It is within walking distance from the main shopping centres, bars and restaurants. Patong entertainment area is around a 15 minutes-drive. This design hotel is a perfect example of stylish comfort.